Due to their shorter life spans dog mature relatively faster then we do. Human are consider adults at 18 years old where as it takes a puppy just 1-2 years to mature. Consequently one week in a puppy’s life is a very long time but in our life it is a very short period. Since puppyhood is so short and so influential of the quality of the dog’s adult life, making the most of this time is very important. Preparing a puppy for life as a pet is much easier then tying to train a difficult adult dog. Puppies are more influence in what happens in the first 6 months of their life than what happens later on. A critical period of development. During this period the puppy needs to have a wide range of experiences with humans, dogs and different environments if it is to become a competent adult. The puppy is still dependant on an attachment figure (i.e. either its mother or the owner). It begins to explore further a field, but always within range of the attachment future or familiar territory. Puppies will be learning about the hierarchy of the pack it lives in and will be attempting to find where its own position lies. Puppies need to be familiarised with people, animals, events and situations at a very early age if they are tog grow up to be unafraid of them. If a puppy does not encounter such things early in its life, it will be shy, timid and fearful when it encounters them later on. In the wild, this is a useful mechanism for keeping inexperienced exploring youngsters away from possibly harmful situations that they were not familiarised with still under the protection of more experienced adults or in the safety of the den area. Good socialisation involves gradually exposing a puppy to a host of different encounters and experiences. Throughout the entire process the puppy should be enjoying the new experiences and care should be taken not to overwhelm a puppy with too much at first. Adequate socialisation with people, both adults and children, is most important in the development of a friendly adult dog. Many different types of people, and different ages and types of children will need to be encountered. 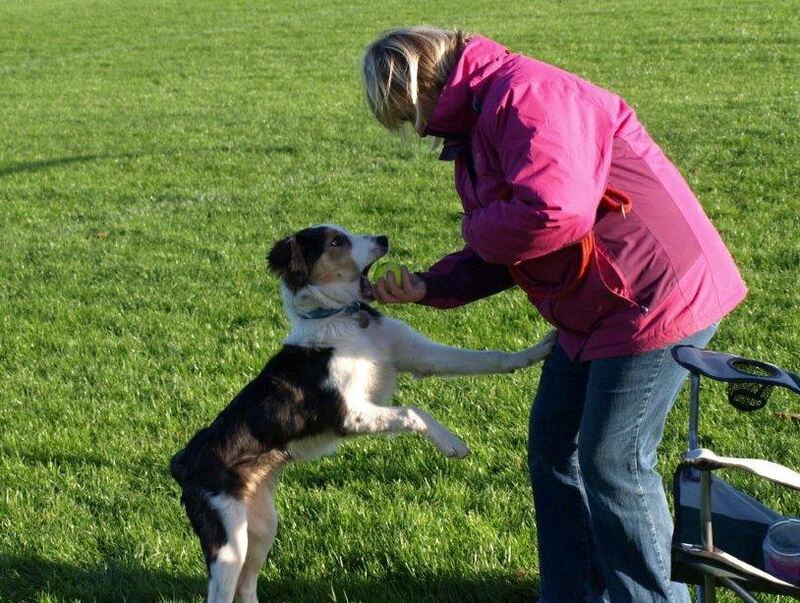 Socialisation also needs to occur with other dogs as well. It is important to ensure that all adult dogs encountered are friendly with puppies. Frightening experiences are worse than none at all. The puppy should also be familiarised with as many different environments and situations as possible. This may involve early vaccination also that the puppy can be taken out to places where other dogs have been earlier than usual. If this is not possible, the risks of having an under-socialised dog must be balanced against the risks of encountering infectious diseases. Care must be taken to keep the puppy healthy and a reasonable compromise may be to take the puppy to new places but to carry it in areas where there is a risk of infection.